KMart Helensvale had Cyberverse 1-step (bumblebee, blurr, soundwave), Scout class (Bumblebee, Starscream, 1 Grimlock left and no Optimus..... not that I would buy). They also had Warrior Class @ $35. I had to get Starscream though, but feel really ripped off at that price. They also had POTP Outback and Cindersaur, and 1x Inferno. Myer had Wave 2 of Legends (got a Tailgate. They still had the Duocon. I often count how many POTP Deluxes are on the shelf and then take one to service and ask how many they have. If the discrepancy is large, I ask them to check out the back. I had a strange experience with this at North Lakes. She happily helped by looking them up, but she did say that supposedly POTP deluxes are end-of-life and they won’t be getting any more. But inversely, Titans Return Deluxes WERE NOT end-of-life. So, take from that what you will. Maybe it just means that Wave 1 is end-of-life. That would be nice. But it could also mean that POTP is winding down before it finishes. That would not be nice. Kmart Chermside has the new cyberverse stuff. The smaller ones anyway. $35 for whatever they call deluxe these days. Complete rip off if you ask me, but they're there. $15 for the smaller ones, which is also way too much for what they do. Target Strathpine had a few of the cyberverse stuff. The optimus/shockwave/starscream. 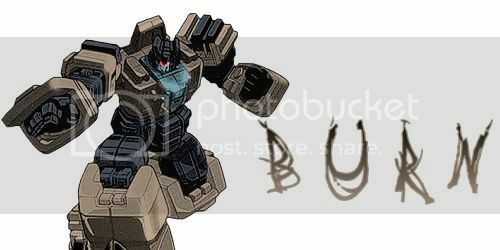 Saw a combiner/duocon thing and a leader megatron. Also saw what looked like a simple combiner menasor type thing, can't recall the series name. Last edited by MV75; 20th August 2018 at 09:02 PM. Finally got around to checking out toyworld at Rothwell today. They had quite a selection of the titan master heads, a bunch of outback / cindersaur and well, a bunch of other stuff I can't recall, but quite a variety. Photos to come, but a big range of Tfs... with a lot of older items at clearance prices for those who missed out them first time around. All of the first wave of Cyberverse is there, and heaps of current Rescue Bots as well as a mountain of the dickie RID/TF5 figurines. Wave 1 Deluxe and leader Studio Series and wave 2 Voyagers. The down side is that Generations were almost non-existent. 1 Elita and about 5 wave 1 Legends & Prime Masters. No deluxe or leaders... if they had them a week ago when they opened, they sold out fast. Forgot to mention the big sighting at Toymate... Bumblebee Movie Energon Igniter Power Plus wave 1 toys, which I think is a world first, and could just be an accidental early release. They were $30 each - Camaro Bumblebee, VW Bumblebee and gen1 cab Optimus.